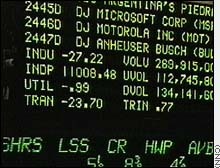 Why do stock exchanges matter? To me, it is a great way to invest smaller amounts of money for dividends. Other than that our economy is reflected by it's fluctuations.